As promised, here are the details on the Patchwork Auditions Workshop if your group is interested in hosting an event. I will be booking select dates in 2017, so please contact me soon if you are interested. Thanks so much for everyone's excitement over the book this year and my appearance on Fons & Porter's Love of Quilting TV. I'd love to share my passion for modern traditional samplers with you! 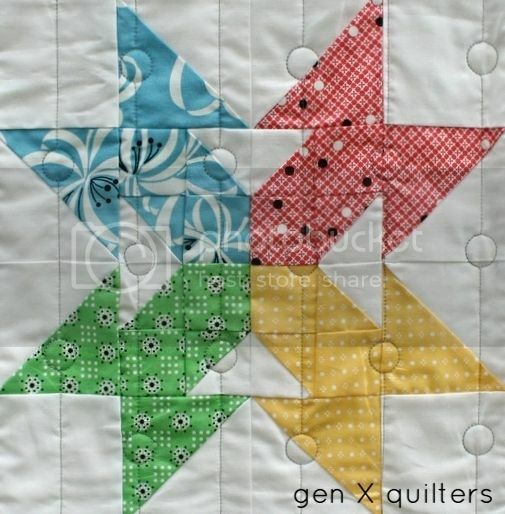 Join author and designer AnneMarie Chany for a fun and colorful workshop to make a small 4 block modern sampler based on the popular Patchwork Auditions series and her new book, Sister Sampler Quilts. 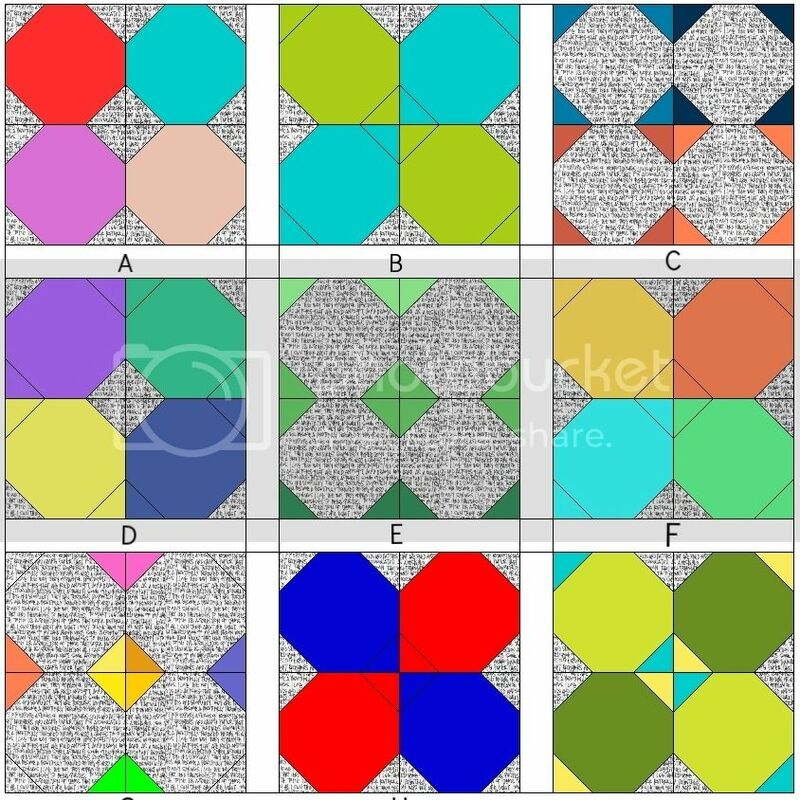 Explore different coloring options for traditional quilt blocks to think outside the box and rejuvenate quilt blocks we know and love. Whether you choose to make your sampler from just one block or make yours with 2 Sister Block Pairs, you’ll enjoy reimagining time-honored blocks with new possibilities. See Pricing here. Check out this second finish for the week! 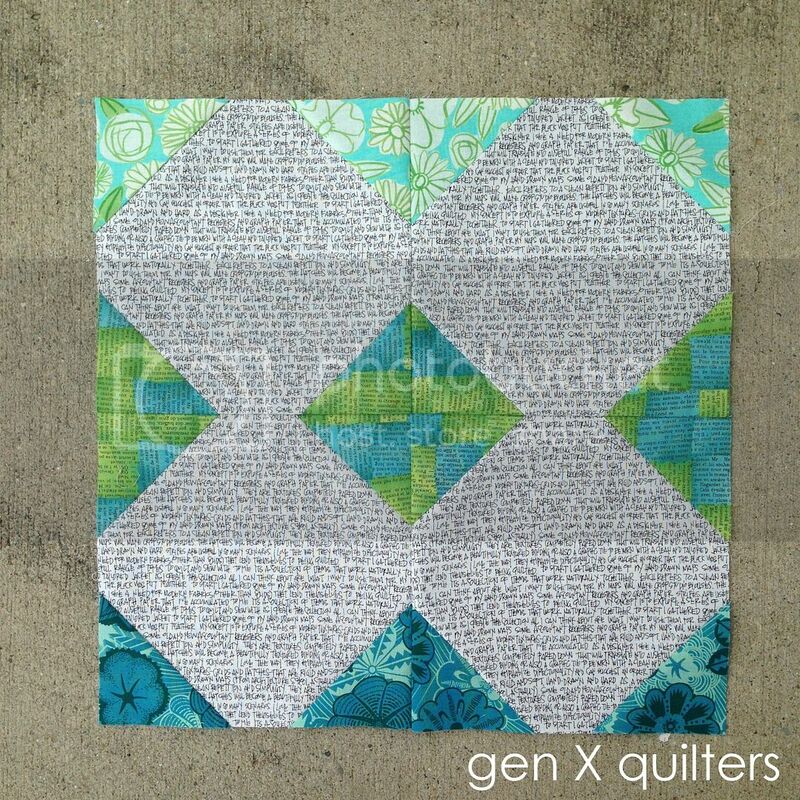 This quilt is the second of 2 similar designs I created for a WORKSHOP based on the Patchwork Auditions series quilt I made last year, my book Sister Sampler Quilts, and my love of all things samplers. Catch the first version here. 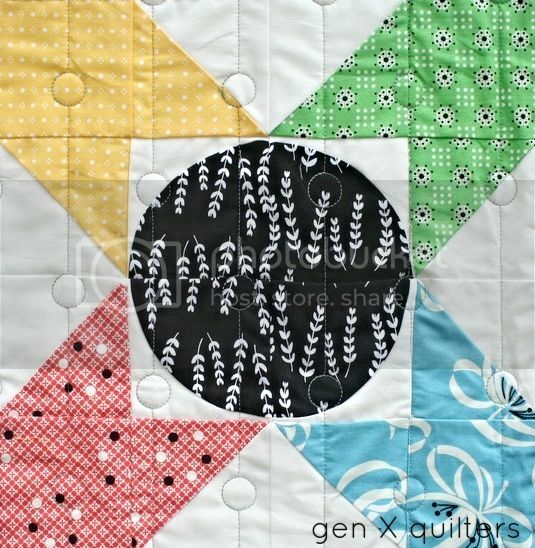 The original Patchwork Auditions series tries to take traditional quilt blocks and reimagine what they look like with different colorings. It's an exploratory exercise that I absolutely love playing with. 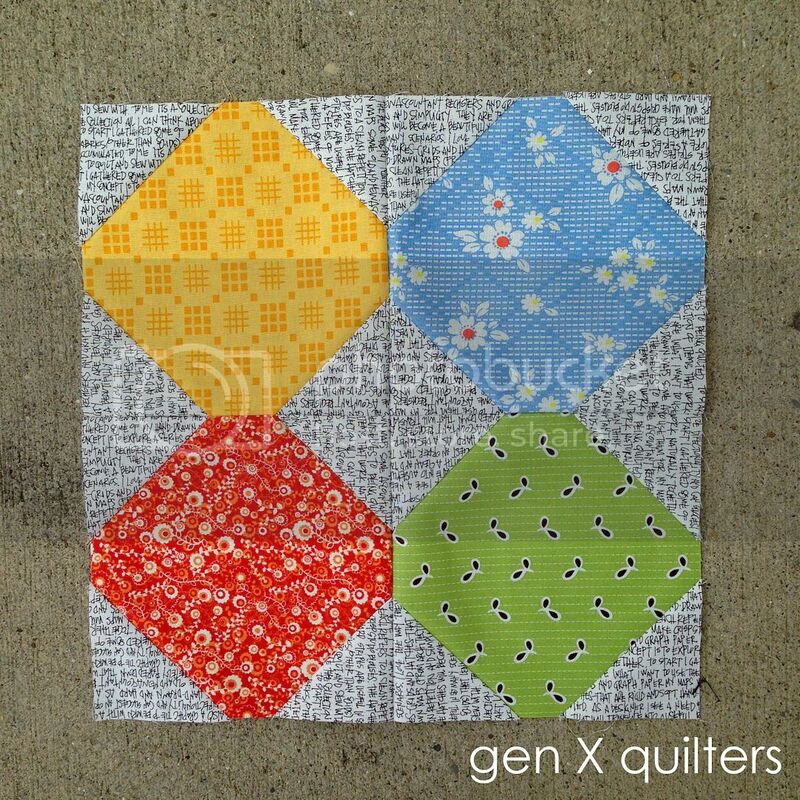 Just like the first quilt, this is a 4 block sampler quilt. A nice smaller take on samplers. Doable in a more reasonable amount of time. It uses 2 blocks this time, instead of just one. 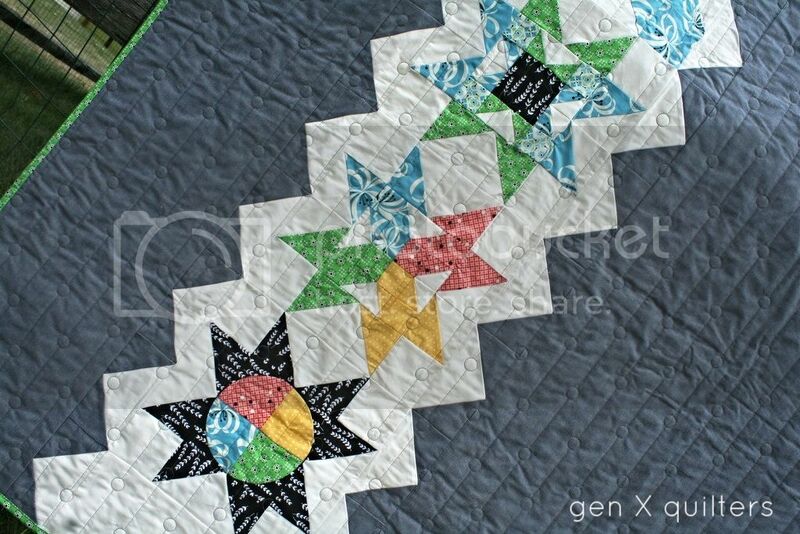 This quilt has 2 Rising Star blocks and 2 Moon & Star blocks from my book. 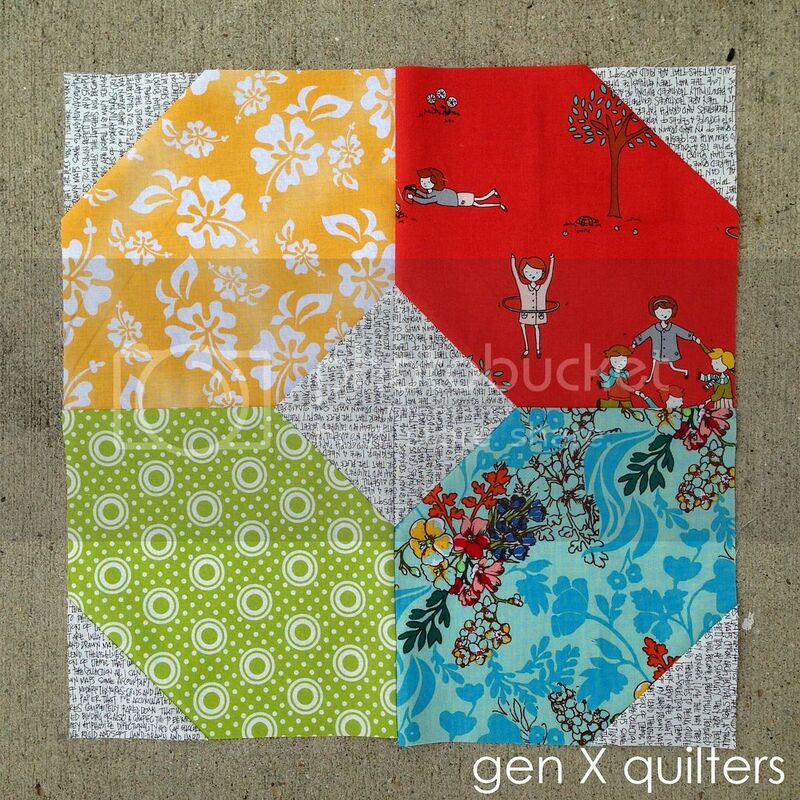 I sketched out several alternate ways to color this block and then chose to sew my favorites. So this quilt is set in the same setting as Quilt #1. 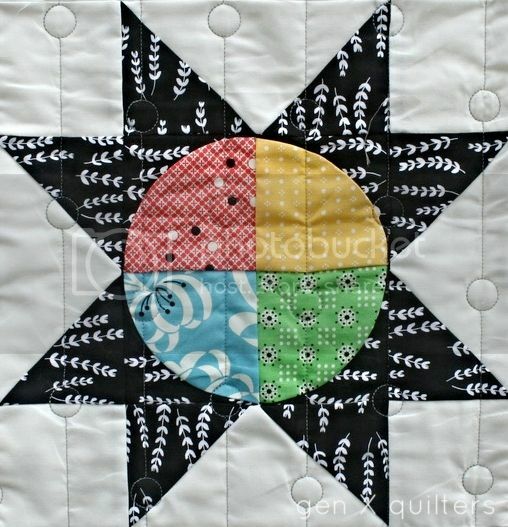 I love the Denyse Schmidt fabrics used in primary colors in the blocks. Then it's all framed by some lovely Chambray in Steel. Super urban feel if you ask me. 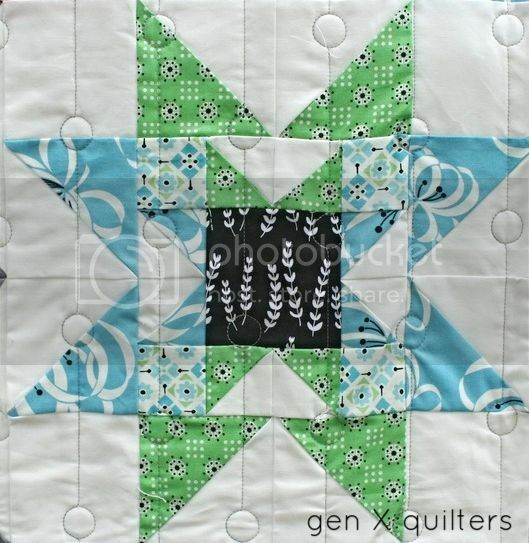 I love this quilt design and quilting! Absolutely my new favorite. I debated about trying to use leftovers and scraps for the binding. In the end, I ended up ordering more of the DS Katie Jump Rope green print so I could make the entire binding out of that print. Totally worth it. 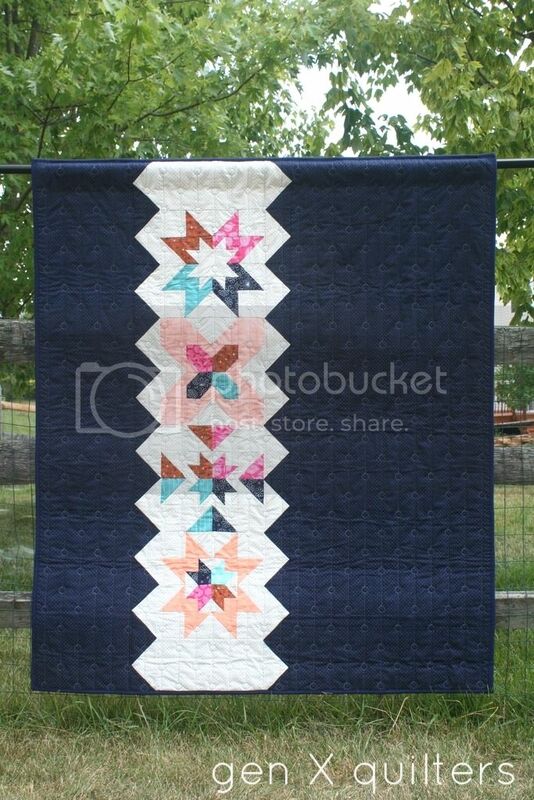 Are you interested in making these quilts in a Workshop with your guild? I'm putting together all the information and will be booking select dates in 2017. I'll share that info with you next week. The Patchwork Auditions blocks are so much fun. Have you tried this little game I'm playing? Today I show you the final block in the series. The series looks at some classic blocks and exposes alternate colorings. 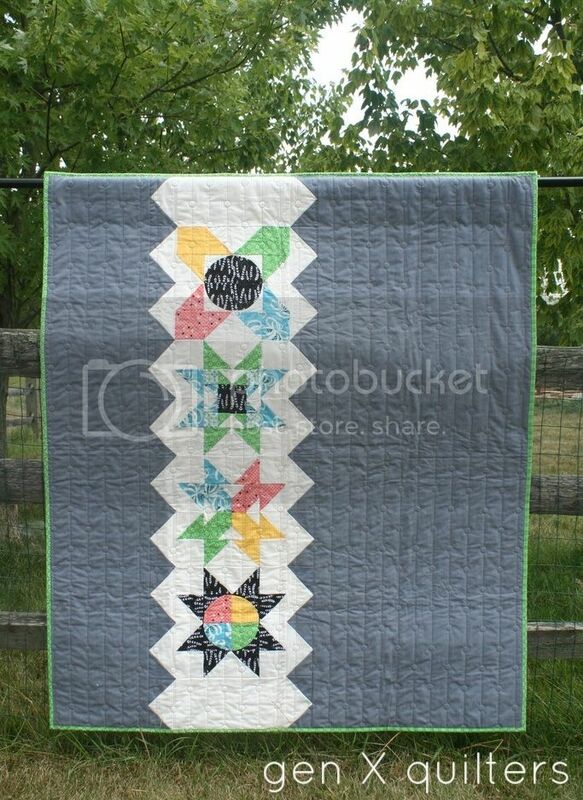 My goal is to simply think about other ways to color a quilt block I have looked at hundreds of times. I've been making 3 of each block - 1 traditional coloring and 2 alternates. It's fun to see how different they look! Take a look at all the blocks I've explored here. With each block, I've been providing a cutting list for the basic blocks in 12" and 16" finished blocks, but not a tutorial. Use the coloring sheet to generate your own ideas. I hope that you have been enjoying this series as much as I am. 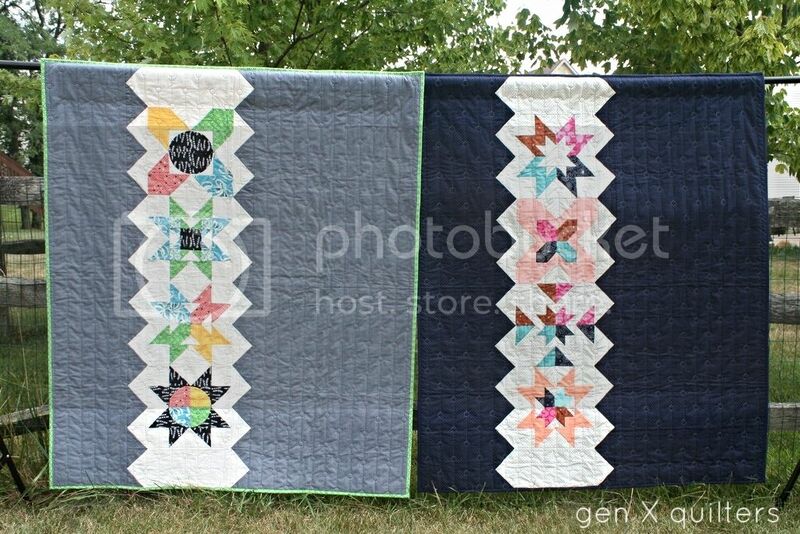 Soon, I'll show you how I plan to lay all these blocks out in a mega-quilt. The snowball block is a stitch-n-flip favorite. The layout shown below actually shows 4 snowball blocks sewn together. This is a common layout throughout history. I found this basic block construction listed under many names - which is why I decided to break this block down to it's fundamental unit. The snowball. You can make an entire quilt just of individual snowballs, or group them together like I have in the block below. Snowball Coloring Sheet Download the PDF here. This block is constructed with (4) equal "snowballs". Each "snowball" consists of a center portion "A" that begins as a square. 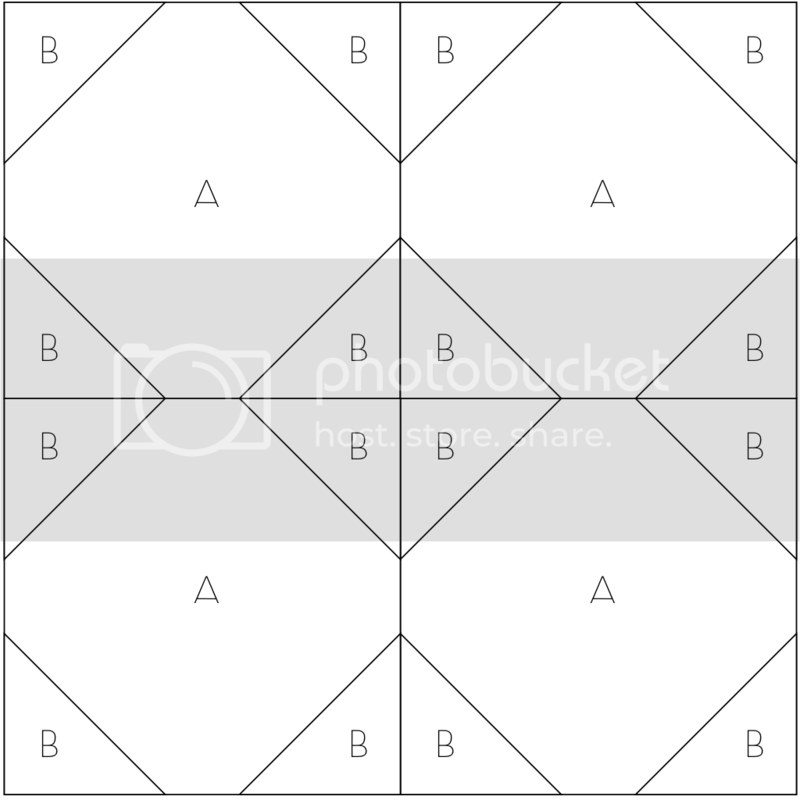 The "B" triangles are formed from squares that are stitched on the diagonal, and then pressed open (trimming the excess). See tutorial here. Cutting List. I have listed cuts for both 12" and 16" blocks. See Snowball Stitch-n-flip block tutorial here. 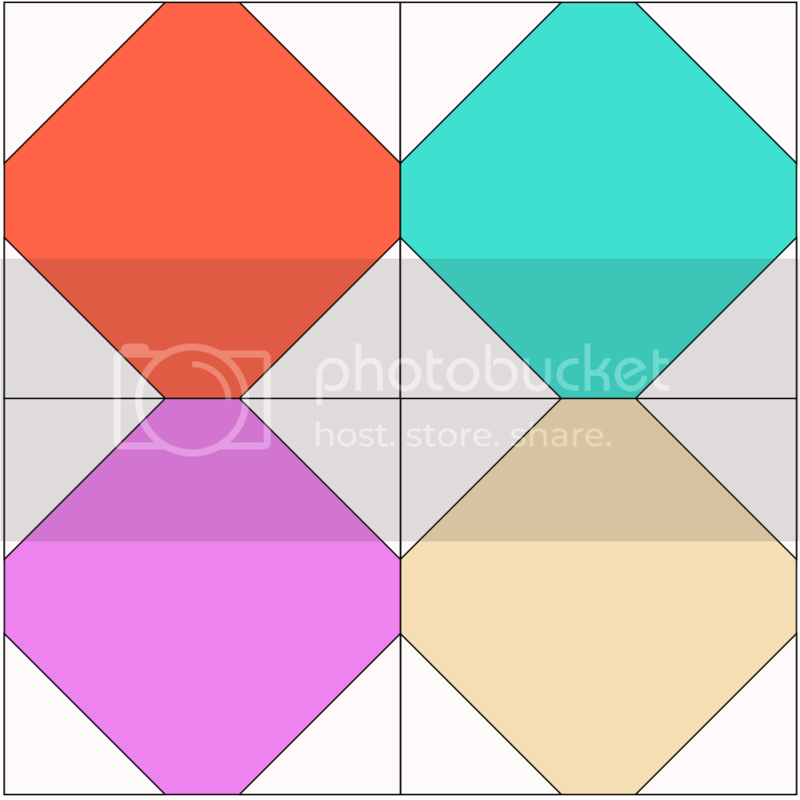 This is a fun and simple block to recolor. There are several ways to change it's look, and still the cutting stays pretty simple. These are just a few of the options I found. Feel free to share any past or present Snowball blocks you've made with us to show how you colored it using #patchworkauditions #snowballblock. Enjoy!